To enter Chile or Argentina you will require a passport that is valid for at least 6 months from the time you enter either country. For a list of countries that require a visa to enter Chile, please refer to the "Tourist Visa" section of the following page online: http://www.chile-usa.org/visasgral.htm. 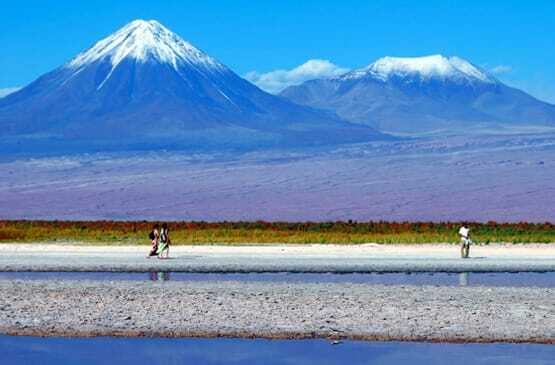 If you are a citizen or resident with a valid passport from Australia, Albania and Mexico, you will be required to pay a reciprocity fee when entering Chile, although you do not need a visa. Please refer to the page above for details on the reciprocity fee amounts. For a list of countries that require a visa to enter Argentina, please refer to the following page online: http://www.clond.mrecic.gov.ar/en/node/2424. If you are a citizen or resident with a valid passport from the United States, Canada and Australia, you will be required to pay a reciprocity fee BEFORE entering Argentina. Please go to https://reciprocidad.provincianet.com.ar/Registro.aspx to register and pay for your reciprocity fee online. Make sure you print out your reciprocity fee receipt and bring it with you to show at customs. The currency in Chile is the Chilean peso and in Argentina it is the Argentine Peso. For a current exchange rate to the US dollar or any other currency, please go to http://www.xe.com. Suggested gratuities and tipping are USD$15 - $20 per guest per guide for a full day and $10 for drivers. Alcoholic beverages at most hotels are not included. There are souvenir stores in many of the hotels and around the towns, and some do not accept credit cards. There are Automatic Teller Machines (ATMs) that accept international debit and credit cards almost everywhere in Chile and Argentina, including Patagonia. All passengers should have full medical insurance and trip-cancellation insurance. Be mindful that Patagonia is a remote location with very basic medical facilities at hand. Emergency medical evacuation can cost upwards of tens of thousands of dollars. Your Insurance company should be able to assist you with the best options for your particular trip. You can also refer to our Trip Insurance page for recommended insurance companies worldwide. The most important recommendation is: always carry with you Quasar Expedition’s local emergency phone number. In case of an emergency, this should be your priority contact in order to receive immediate assistance. You will be given our emergency phone numbers when you book any trip with us. Bring your perscription medicine for at least twice the amount you would need for the length of your trip just to be safe. Although most perscription drugs are available in Chile or Argentina, brands and quality vary so better bring you doctor’s perscribed medicine. Weather in Patagonia, is very unpredictable, as is the case in many mountainous regions with varied terrain. It is not uncommon to experience sunshine, wind, rain and even snow on a single day, even if traveling during the summer months. And the only way to experience and enjoy this natural paradise, is to come well prepared so that the weather does not affect your daily activities. 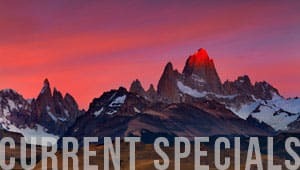 Please refer to our Detailed Packing List page for a full list of items that you should pack for a trip to Patagonia. Both Chile and Argentina have modern airports with all the services you expect. Chile's Santiago International airport is about 25 minutes away from the city. Argentina's Buenos Aires International airport is located about 30 minutes from the city. Both airports offer plenty of transportation options to go into the city. Upon arrival to Chile or Argentina, you will have to clear customs. All of your personal baggage will be scanned for items such as fresh fruit and or other fresh plant and animal foods. If you hired airport transfer through Quasar Expeditions, your van and guide will be waiting for you once you clear customs. Once you arrive at your hotel, your driver and the hotel staff will take care of unloading your baggage. We recommend you keep an eye out for your baggage so that it is not mixed up with that of other passengers. Chile (except Easter Island) is either 3 or 4 hours behind GMT or 1or 2 hour behind USA Eastern Standard Time, depending on the time of the year. Please refer to this website to see the current time in Chile: http://www.timeanddate.com/worldclock/chile/santiago. Spanish is the official language of Chile and Argentina. English is spoken in the main tourist centers, important hotels, in our hotels, by our guides, but not by the general population. If you require a guide in a language other than English, you should let us know well in advance and an extra fee may apply. Electricity in Chile and Argentina 220W, 60 cycles, AC. Please refer to the following page to view the type of electricity plugs in each country: http://leotardi.ddns.info/html/electric/plugs.htm. Travelers coming from Uabroad should bring their own converters if possible, or you can buy them in the main cities and towns. Like most places around the World, Chile’s and Argentina's cities have good and bad areas. Many of the best hotels are located in good, safe areas. You should take the same precautions as you would if you were to travel to a major city such as New York or London. Be mindful of pickpocketers when walking in the street or in crowded public areas. Don’t walk around with expensive jewelry or with a lot of cash on hand as the vast majority of stores accept major credit cards. Use only registered and certified taxi cabs. Don’t venture into places you have not previously asked about. It is not recommened to walk in the streets of certain areas after dark. In general, people in Chile and Argentina are very friendly and courteous, but we suggest you proceed with caution when interacting with locals. Please follow your guide's recommendations as to your conduct when relating to the local population. Some guidelines include: do not photograph people without their permission, products in local markets and food in restaurants or in the street without obtaining previous consent. If you booked an airport transfer through Quasar Expeditions, the day you fly to Patagonia your airport transfer will be waiting for you in the hotel lobby at the specified hour (2 1/2 hours prior to your flight’s departure time). Once you arrive at the airport your will assist you with your check-in process with the airline. If you did not book a transfer with Quasar Expeditions, please arrange to be at the airport 2 hours before your flight to Patagonia. When you arrive to Patagonia after you disembark your flight, you will proceed to the luggage carrousels to pick up your bags. As soon as you exit the baggage claim area, your transfer guide will be waiting for you with a sign that will have your last name or the name of the group on it. Your guide along with other Quasar Expeditions’ staff will take care of your baggage and will safely take it on the van. From the airport you will transfer to your hotel. Once you book your Patagonia trip with us, you will be directed to your trip departure center. This is an exclusive page that will prepare you for your trip and walk you through the pre-trip process, which involves reading up on important information and learning more about your adventure and your itinerary. You will also need to prepare and submit the following documentation. Reservation Form - here you will provide your personal travel information such as passport info, special health or dietary needs, emergency contact info, international flight info, etc. Medical Form - here you will provide us with your personal health information such as height, weight, blood type, medical conditions, your doctor’s contact info, etc. This information will allow us to better assist you in case of an emergency. Quasar Expeditions Booking and Cancellation Policies - Although by this point, you will already know our booking and cancellation policies, you will be able to download a copy through the departure center. If you are traveling with minors, you will need to sign “The Agreement and Assumption of Hazards concerning minors” document. Signing this document means you understand and acknowledge the risks involved in taking a minor on a trip of this nature. If you have a disability, you will need to sign the “Safety Agreement and Assumption of Risks for guests with disablities” document. Signing this document means you understand and acknowledge the risks involved in taking a trip to the Galapagos with your disability. You will also need to hire travel insurance that has a good trip cancellation/ interruption policy, as well as emergency medical evacuation coverage. Please visit our Trip Insurance page for recommended insurance policies.